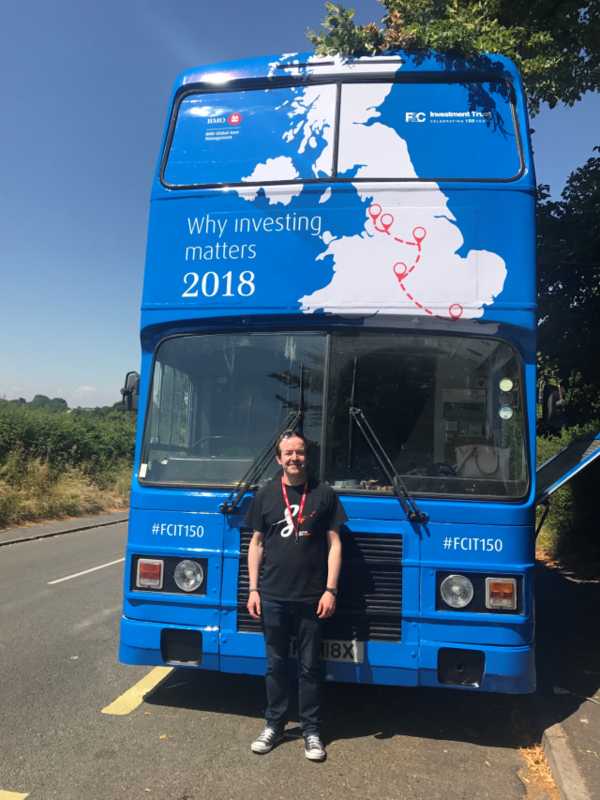 Our Education Manager Stuart writes about SSF's Money Bus workshops earlier this Summer. 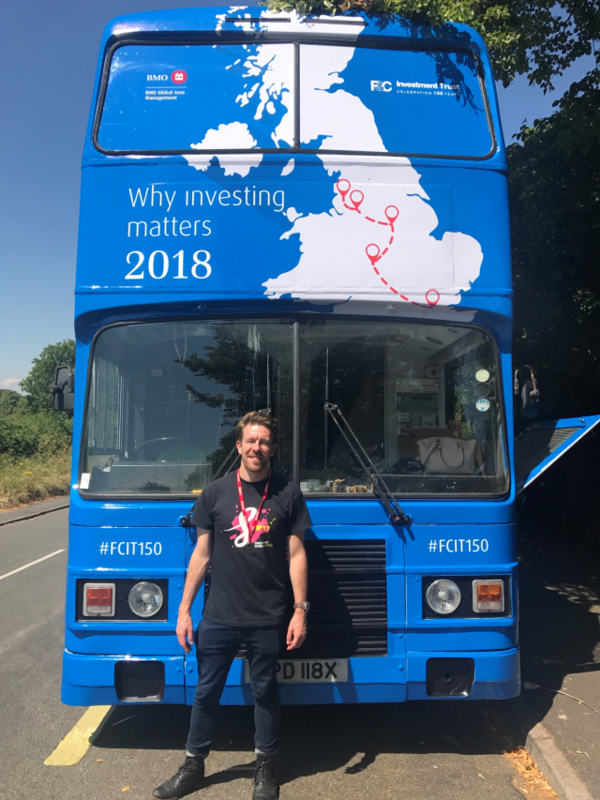 This summer, SSF teamed up with the world’s oldest collective investment fund, Foreign and Colonial Investment Trust (FCIT) to do something very new and very different. to teach young people from selected Festival schools about the value of money, with a focus on earning, spending, saving and investing. For once, it was time for the SSF team to forget all about iambic pentameter, to ditch the quills, and to pick up their spreadsheets and calculators. To devise the sessions, I teamed up with SSF Creative Manager Francesca Ellis. Whilst we couldn’t really fit much Shakespeare into the sessions, we did make two nods to our usual line of business: we planned the sessions in Shakespeare’s home town of Stratford-Upon-Avon (where we were coincidentally attending a teachers’ conference) and we substituted pounds and pence for something a bit more Shakespearean: ducats! From the start, we decided that the sessions should remain true to SSF’s active approach and rehearsal room ethos. This might be about financial management, but it had to be fun and playful too! From a ‘Value continuum’ starting point (asking children to think about the statement ‘Money makes you happy’) through to carousel ‘earning’ activities, weekly shopping and compound interest, we eventually reached a sort of ‘Dragon’s Den’ conclusion at the end of the 90 minute session, with a suggestion that children create their own companies to form a mini stock market. Pupils would then invest in their favourite companies (ensuring that they spread their risk by selecting more than one!) and then use an interactive spinner to discover their fate: will investments have doubled, halved, stayed the same or reduced to zero? Happy with the content of the session, it was time to take to the road - quite literally. 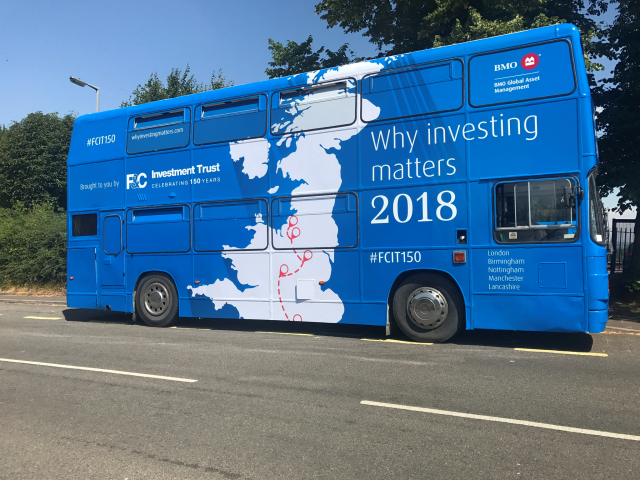 FCIT provided a bespoke blue double decker bus (and a lot of freebie piggy banks for participating schools), and we began our week long trek across the country, from London to Birmingham, Mansfield, Manchester and Colne (near Burnley). SSF stalwarts, Fran, Iain and I were joined by a number of staff from FCIT, including top fund managers, the wonderful Stephanie, and bus driver, tea maker and biscuit provider extraordinaire, Karen. To spoil the illusion of our tour as either a Cliff Richard Summer Holiday jaunt or a madcap Spice World adventure, it soon became clear that the bus was not built for comfort (in fact there were a set of computer workstations upstairs and a classroom style seating area downstairs for younger pupils to meet the FCIT staff and take an interactive money quiz). On that basis, we (rather disappointedly) decided to take the train from venue to venue. The sessions were a huge hit with teachers and pupils alike. Perhaps the highlight of each session was the creation of the mini stock market, in an attempt to teach pupils about the inherent risk of putting all your eggs in one basket, and the importance of diversification when investing. SSF facilitators quickly learnt (if they didn’t already know) that the biggest craze on the planet at the moment is video game Fortnite. A huge number of pupils chose to make Fortnite related companies, including some that traded in the game’s virtual currency of V-Bucks. The most astute young people could be heard arguing that Fortnite wasn’t a sound and steady investment. Would anyone really be playing it in two years time? Fidget spinners, anyone? My personal favourite pupil-devised company was an ingenious tech company, which took old mobile phone shells from the mid nineties, and equipped them with the latest internal workings and technology to create super retro-phones. Surely somebody should take that idea along to Dragon’s Den! What ultimately struck us all on the SSF/FCIT Financial Literacy tour was how well SSF’s approach to teaching and learning can be tweaked to cover an entirely new curriculum area. The fun and active approaches that we are so proud of and that make Shakespeare accessible to our young Festival performers were just as relevant when explaining complex terms such as compound interest and diversification.